Having lived in the United States for such a long time means that we missed out on the wonderful Advent season for years. Sure – we always had an Advent wreath, decorated our house with all the Christmassy stuff and made our own mulled wine. But nothing compares to actually experiencing the best Christmas markets in Germany yourself. The hot drink that warms your frozen hands. Brats that make your mouth water. The sound of Christmas carols from an organ, topped with the delicious smell of roasted almonds. Christimas time doesn’t get any better than this, right? So today I’m going to share my best Christmas markets in Germany and in and around Burghausen that are on my To-Be-Visited-list. What’s on yours? Last weekend we took our kids to their first Christmas market ever. Getting to the Christkindl market at Frauenchiemsee was already an adventure in itself since you have to take the boat over to the small island. There is a large variety of craft and food stands, but no rides for the kids. Which means that they won’t stop asking for more roasted almonds and kids punch. So be prepared. If you are there, make sure to visit the beautiful Irmengard Chapel. Irmengard is the patron saint of the Chiemgau and as I’ve been told she is known to make wishes come true… Be aware that the market gets really crowded and that it might take a long time to catch a boat back to the mainland. This Saturday we are heading to the Christmas market in our hometown Burghausen. Advent in den Grüben (Dec. 2-4) takes place in the old town and promises festive illuminations of the medieval buildings, with a variety of local craft and food stands and a theater play for the little ones. From December 9 to 11 it is the world’s longest castle that is the background for the Burgweihnacht. My kids love visiting the castle at any time of the year and will be really excited to experience a shadow play of popular fairy tales. Now we only need some snow to create a picture-perfect Christmas market atmosphere. The romantic Christmas market in the tiny town of Tüssling is about 20 minutes away from Burghausen. The garden around the castle in Tüssling is festively illuminated with light pyramids, candles, and torches and offers lots of activities for kids and adults: candle making, archery, calligraphy, a carousel, tractor rides, puppet shows, a fire show and even Santa Claus himself. Starting at 5 pm every day a light show transforms the castle into a giant Advent wreath. I still remember going to this particular Christmas market many years ago when we first started visiting this area. So I’m really excited to go back there. 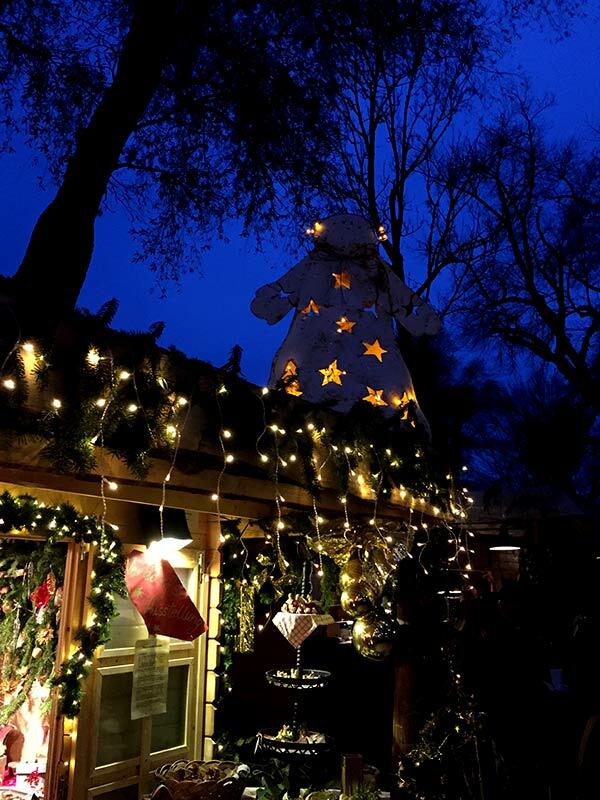 Whenever I ask people about their favorite Christmas market in our little corner of the world, they mention Christmas in the Forest in Halsbach. This is a unique Christmas market in the middle of the forest. The live nativity scene, music performances, and the feeding of wild forest animals makes everyone’s eyes sparkling with joy. Locals recommend going there on a week night because it gets really really crowded on the weekends. Parking is limited, but there are shuttle busses that take you to the Advent village from Burgkirchen. Psst! Watch out for the little gnomes that are known to pinch unsuspecting visitors. One last favorite for kids is the Advent magic at the castle of Hellbrunn in Salzburg, Austria. The castle itself is transformed into a gigantic advent calendar while the trees in the forest are decorated with red ornaments and lights. The Christmas world for kids is only open on the weekends, offering hot dogs over open fire, pony rides, cookie baking, a magician and much more. Before I let you go to plan your own Christmas market visits for the upcoming weekends, I have one more recommendation for you. It’s impossible for me to write a post about Christmas markets without mentioning one of the – if not the – most beautiful Christmas market in Germany: the one in my hometown Braunschweig. I promise you that the atmosphere around the historical cathedral is just magical. 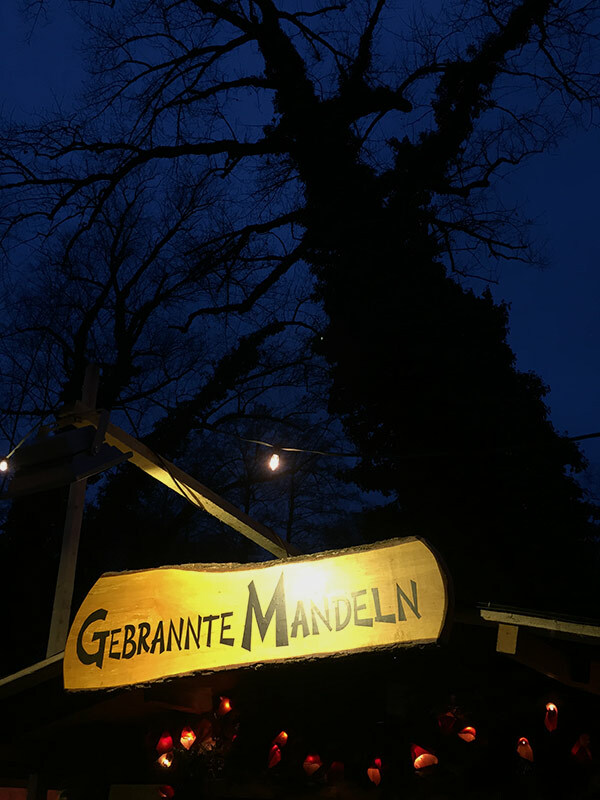 If you visit, you need to try two things: Poffertjes and Mandel Meier’s roasted almonds. The lines may be long, but the wait is totally worth it! And also I would like to know how you handle a visit to the Christmas market with your little ones. How do you avoid spending too much money on delicious but not really healthy food? And do you have any advice on how not to lose them in the crowds? My 3-soon-to-be-4-year-old tends to run away wander off and, small as he is, he disappears within seconds. Any advice – in German or English – is greatly appreciated. Because I would love to ENJOY our family outings to these Christmas festivities. Wishing you all a great weekend and lots of fun with your loved ones! 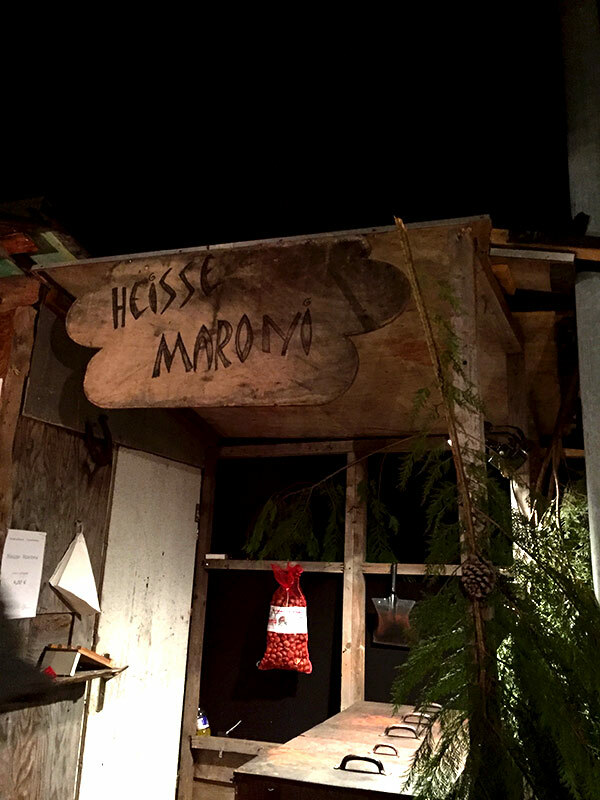 This entry was posted in Reisen and tagged Burghausen, Christmas, Germany. Meine Lösung: die Christikindlmärkte, die ich in Ruhe geniessen will, die mach ich ohne Kinden (wie z.B. Halsbach). Denn für das Dauergebenze hab ich auch keine (ausser zu Hause bleiben….). Wenn wir gemeinsam unterwegs sind und es ist viel los, dann muss auch noch der Grosse (9) an der Hand gehen. Eine Verlorenerfahrung in Menschenmassen reicht. Der dieses Wochenende in Leonberg könnte auch ganz nett werden.